children also deserve a Christmas! Seventy-six supporters of the Religious Freedom Coalition came forward to pledge $77,031 to a matching gift challenge for Christmas for Refugees. That means that gifts sent specifically to the Christmas for Refugees program — up to $77,031 — will be doubled! Tens of thousands of Christian families with children escaped the attacks of radical Islamic groups in Iraq and Syria. Well-educated and middle class Christian families were forced into urban refugee centers with one room for an entire family. Many with children are still refugees or Internally Displaced Persons (IDP’s) and those who can move back home face looted and burned out homes. 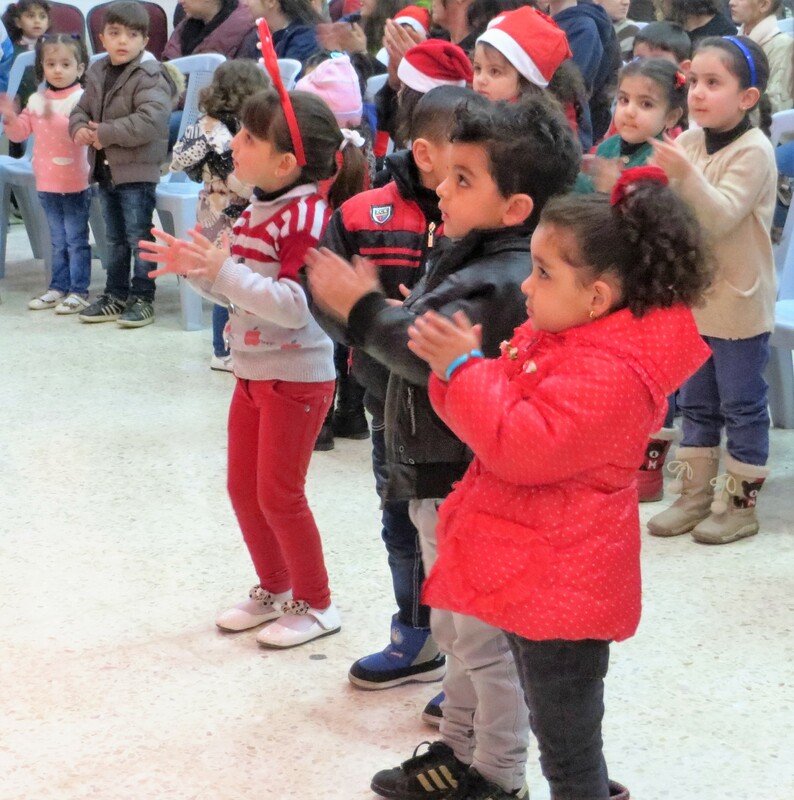 You can make one special day brighter for persecuted Christian children by arranging a traditional Christmas celebration for them with music, games, Christmas carols , a hot meal, a gift for them and a gift of essential items for their entire family. in 2017, churches and private halls were provided for Christmas parties for thousands of Christian refugee children. Puppet shows, games and Christmas carols, as well as a hot meal served by volunteers, were part of the day, which included transportation to and from the events. 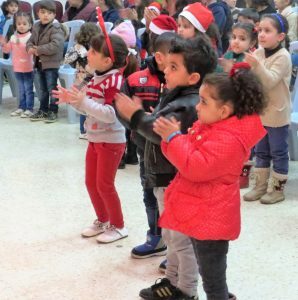 From a small beginning, when Christmas events were provided for children in Jordan in 2013, the program has expanded to include Lebanon, Iraq and Syria. In 2017 more than 2,000 children from the Nineveh Plain had a real Christmas provided by Christmas for Refugees. In 2018, as Christian families move back to Nineveh Plain towns, to what is left of their looted homes Christmas for Refugees will be there to provide Christmas joy for the children. The Christmas for Refugees program assists the families of the children as well by providing hygiene kit of the same value containing items such as bath and laundry soaps, toothpaste, and other essentials with a retail value $50 each. The cost to provide each child access to a half day Christmas program with puppet shows, games, songs and music including transportation is only $14.00 each This includes everything from coloring books to a wrapped gift that is age and gender specific. The goal in 2018 is to serve as many as 8,400 Christian children and their families for Christmas. Please help by donating $14.00 for a one day Christmas program for one child, or $64.00 for one child’s Christmas program plus $50 worth essentials for a family. Please donate today, as funds must be transferred to Iraq, Jordan and Lebanon well in advance. (Our Syrian program is managed from Lebanon because of U.S. sanctions against Syria.) 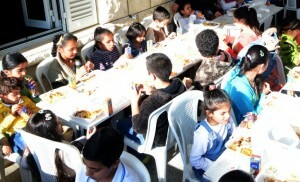 You can help a refugee child have a Christmas Day celebration instead of another day of hunger.